Make a project that has sequins! Winner will receive a $25 gift code! 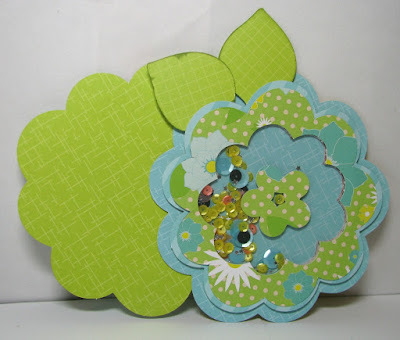 Cricut cuts: Flower, leaves (Accent Essentials). 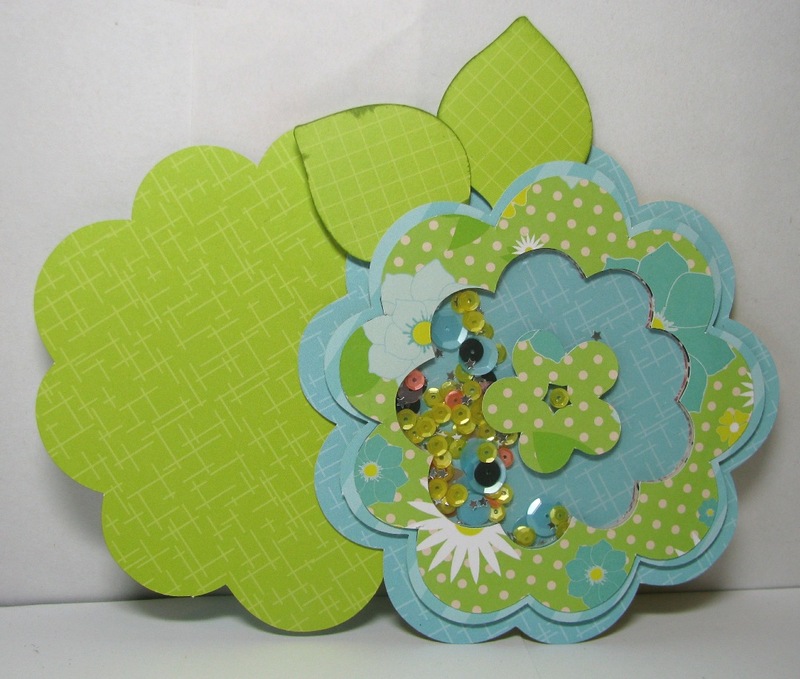 Papers:green pattern (Avery Elle Sorbet 6 x 6 pad), teal pattern (Avery Elle Brights 6 x 6 pad), flower cardstock (GCD Studio Special Delivery 6 x 6 pad). Sequins: 2 Cool 4 U (Spiegelmom Scraps). Ink: Limeade (Stampin' Up) on edges of leaves. I've left sentiments off of this so I can personalize this at a later date. I could you this for a birthday, thank you, thinking of you, spring, get well soon, etc. I like having cards that I can grab in a hurry! Michelle, I absolutely love this. It's so perfect! What a joy to open and envelope and find this fun card inside. It just makes me smile at the thought! Nice job! 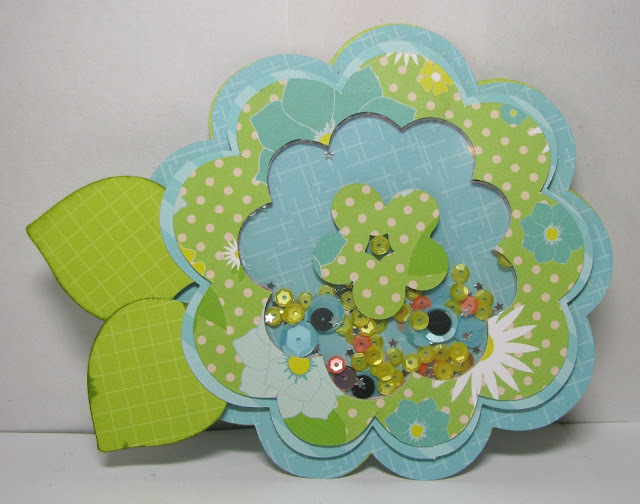 I love everything about this card- from the shape to the colors to the bling! And how smart you are to leave the sentiment out so that you have one handy in the future. I know that whoever the recipient ends up being they will really love it! What an AWESOME Shaker card! Such fun colors and shape! What a sweet shaker card!! What a great shaker card!! Very pretty and springy! Very pretty Michelle, I think I will need to get that cart, if I don't already have it.